Great two story home situated on a large corner lot. 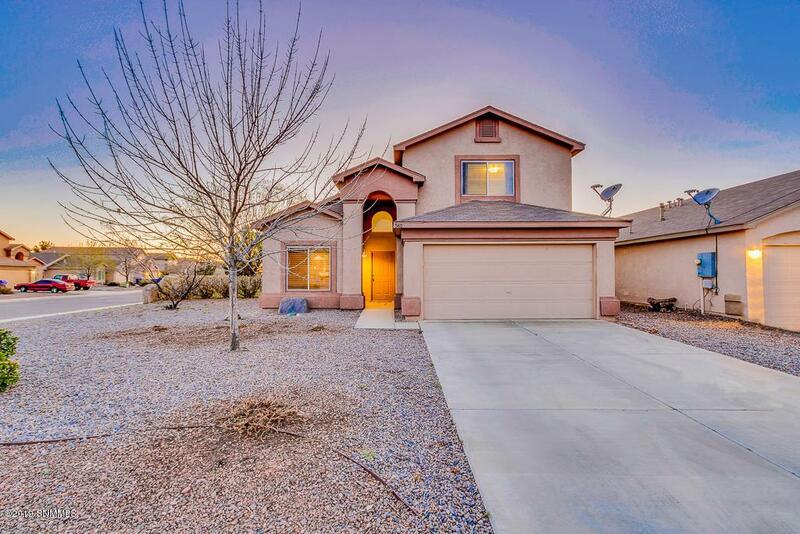 This home has three bedrooms and 2 1/2 baths. The large master bedroom is located downstairs with a master bath consisting of double sinks, shower stall and walk-in closet. 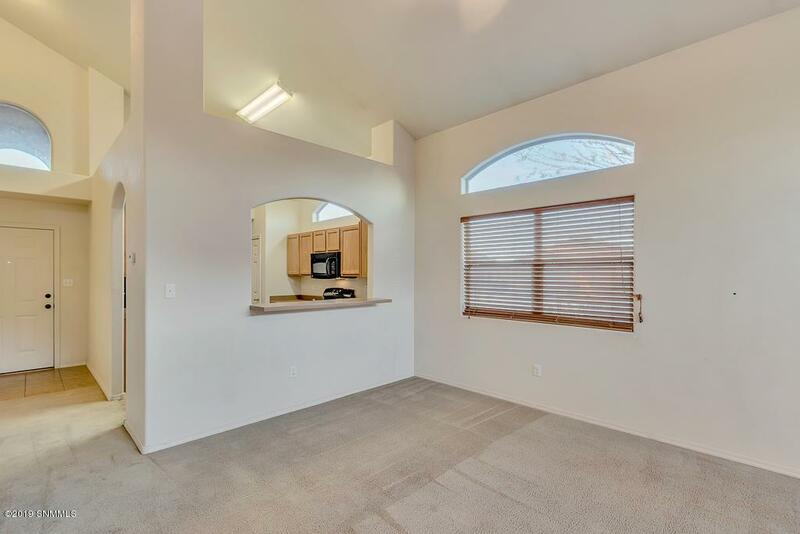 The living room is open and bright featuring cathedral ceilings and half bath. This kitchen offers an abundance of counter and cabinet space, breakfast nook, pantry, gas stove, tile floor and refrigerator conveys. 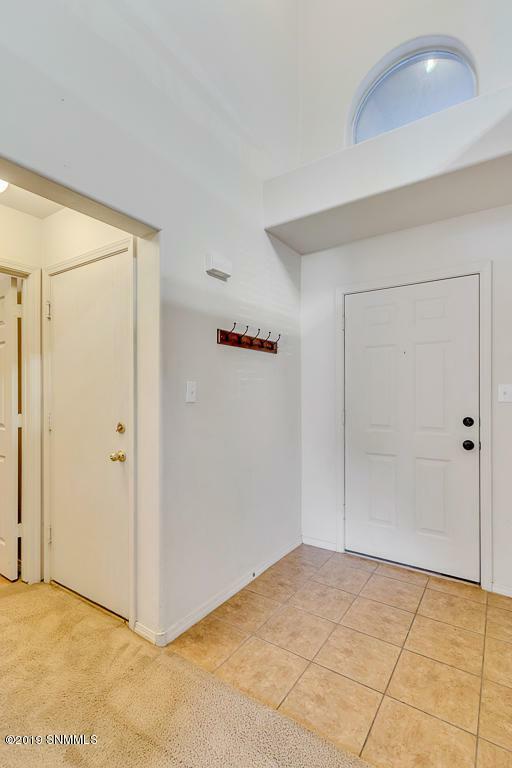 Upstairs you will find two bedrooms, one full bath and a spacious loft/family room. The front bedroom has a great view of the Organ Mts. 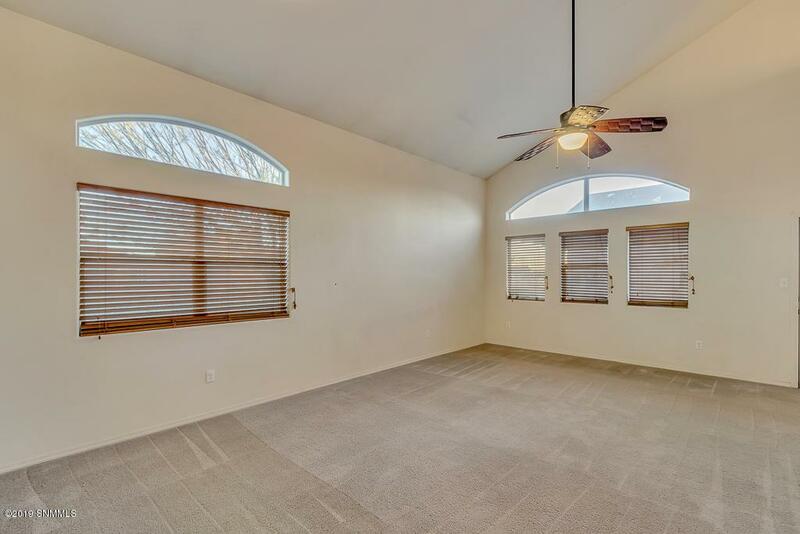 Outside you will find an open and covered patio and landscaped backyard. Call for your showing today!! !